Anne Sarah; Letitia; Elizabeth; Sarah; Fanny. 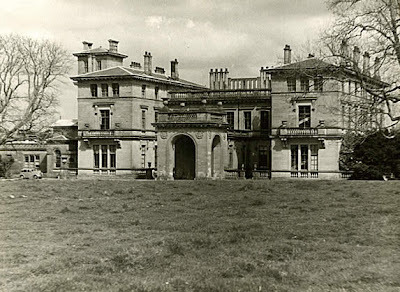 Mr Pratt, who, upon the death of his father, succeeded his mother in the Kilkenny estates, which she and her sister, the Marchioness of Antrim, had jointly inherited as co-heirs of their brother Hervey Redmond, 2nd Viscount Mountmorres. 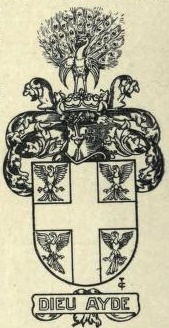 He assumed, in 1831, the surname and arms of DE MONTMORENCY. HERVEY JOHN DE MONTMORENCY JP (1840-73), of Castle Morres, High Sheriff of County Kilkenny, 1872, late 2nd Dragoon Guards, who espoused, in 1867, Grace, daughter of Sir Thomas Fraser Grove Bt, of Ferne, Wiltshire, leaving issue, a daughter, Henrietta Kathleen. CASTLE MORRES, Kilmaganny, County Kilkenny, was a splendid mid-18th century mansion by Francis Binden. It comprised three storeys over a basement, with a nine-bay front. There were single wings on either side of the centre block. There was a three-bay central break-front with quoins and a rusticated ground floor. The roof parapet had balustrades. A balustraded perron and double stairway led to the doorway, which had Ionic columns and pediment. There was a magnificent black marble chimney-piece in the hall, resplendent with a military trophy under a scroll pediment; and an eagle spreading its wings above. 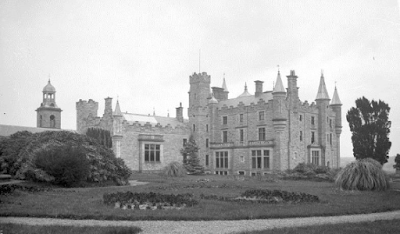 Captain John Pratt de Montmorency sold Castle Morres to the Irish Land Commission in 1926. 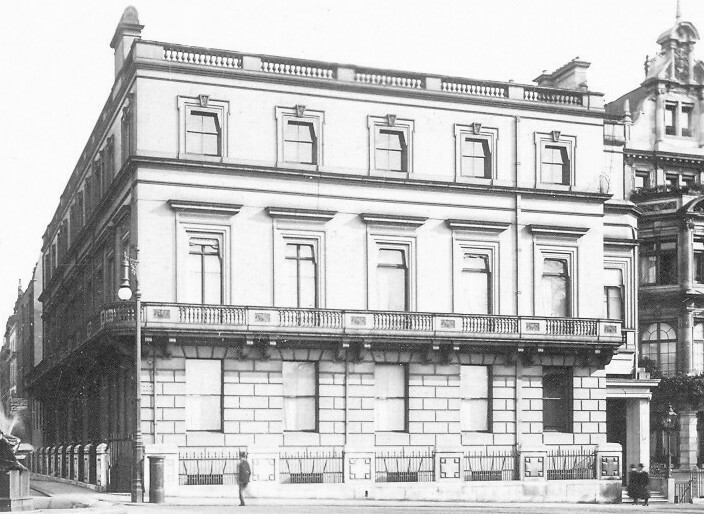 In the 1930s its roof was removed; and the once great mansion house suffered its ultimate fate in 1978 when it was demolished. RICHARD CLOSE, the first of the family who settled in Ireland, was the younger son of a respectable house in Yorkshire, and held a commission in the Army. He was sent from England, in the reign of CHARLES I, into that kingdom, where he remained after the termination of the civil wars, and became one of the lords of the soil, as we find him having four townlands in County Monaghan during the time of CHARLES II. After the Restoration he fixed himself at Lisnagarvey, near Lisburn, County Antrim, where a Protestant colony had been located under the protection of Lord Conway. RICHARD CLOSE, who inherited the County Monaghan estates. Mr Close married Mary, sister of Samuel Waring, of Waringstown, MP for Hillsborough, 1703-15, and received from that gentleman a grant of lands contiguous to Waringstown, on which he built a good house and resided. He considerably enlarged the family estate by purchasing a tract of land on the River Bann, between Rathfriland and Castlewellan, County Down, and after the disturbances in 1688, which obliged him to leave his home and join the Protestants, then united at Lisburn, under Lord Conway and Sir Arthur Rawdon. He returned (subsequently to the battle of the Boyne) having suffered great losses during the harassing conflicts of the times. RICHARD CLOSE, wedded, in 1708, Rose, daughter of Roger Hall, of Narrow Water, County Down, and had issue, now extinct. MAXWELL CLOSE (c1722-93), High Sheriff of County Armagh, 1780, who succeeded his grandmother, Lady Maxwell (d 1758), in the possession of Elm Park, and the lands settled upon him. Grace; Catherine; Margaret; Mary; Elizabeth. Kate Violet; Grace Wilmina; Alice Evelyn. Lilias Augusta Muriel; Agatha Katharine Rose. Rosemary Muriel Victoria; Viola Anne; Hazel. I have written about Drumbanagher House here. This ancient family deduces its descent from Athelmare, or Ailmer, Earl of Cornwall, who lived in the reign of ÆTHELRED I, King of Wessex, and their settlement in Ireland is fixed at some time in the 12th century. During the reign of HENRY VI, in 1421, we find Richard Aylmer, of Lyons, County Kildare, one of the keepers of the peace for that county, as well as for the adjoining county of Dublin. In 1432, he is a subscriber (as sovereign of the town of Tassagard) to an indenture made to one John Staunton, and his heirs, of a waste plot of ground there, for the annual consideration of one penny at Easter. THE RT HON SIR GERALD AYLMER (c1500-59), second son of Bartholomew Aylmer, of Lyons, by his wife, Margaret, daughter of Sir Christopher Cheevers, of Macetown, rose to considerable eminence in the legal profession. 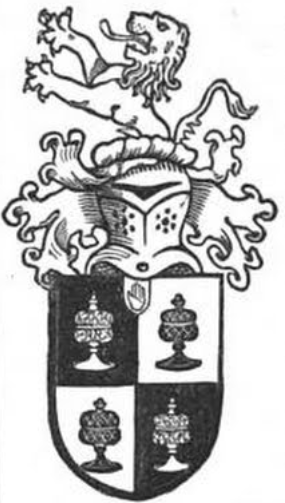 Sir Gerald, for his very important services to the crown, obtained a grant of the manor and lordship of Dullardstown, County Meath, and settled there. SIR GERALD AYLMER (1548-1634), Knight, of Donadea, son of George Aylmer, of Cloncurry, and grandson of Richard Aylmer, of Lyons. Sir Gerald married firstly, Mary, daughter and co-heiress of Sir Henry Travers, Master of the Ordnance, and widow of James FitzEustace, Viscount Baltinglas. SIR JUSTIN AYLMER, 4th Baronet (1682-1711), who married, in 1702, Ellice, daughter of Sir Gerald Aylmer, of Balrath, and had two sons. SIR GERALD AYLMER, 5th Baronet (1703-37), who wedded, in 1726, Lucy, daughter of Admiral Sir John Norris, of Hempstead, Kent, by whom he left one son and two daughters, Lucy and Elizabeth. Caroline Maria; Helen Charlotte Nichola. Elizabeth Nannette; Martha Josepha Helena; Anna Angelina. Sir Richard John Aylmer, 16th Baronet (b 1937). The heir apparent is the present holder's son, Fenton Paul Aylmer (b 1965). 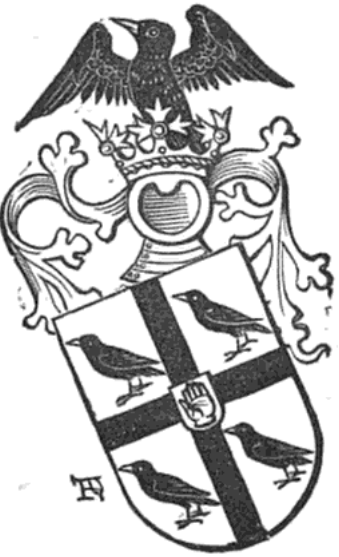 The 1st Baron Aylmer was the second son of Sir Christopher Aylmer, 1st Baronet, of Balrath, County Meath. In 1581, Sir Gerald built a new Tower in Donadea, not fully completed until 1624 and now the oldest part of the Castle. In 1626, he repaired the medieval Church in Donadea and built a new extension in which he established his family burial plot. In the extension he also constructed an Altar Tomb monument as a burial memorial for his family. Gerald was titled by the Crown and became the first Baronet of Donadea. The Aylmers were connected with the various conflicts and rebellions over the next two centuries. During the wars of the 1640s, Sir Andrew, 2nd Baronet, supported the rebels and was imprisoned at the beginning of the war. Although he was a brother-in-law of the Lord Lieutenant of Ireland, Lord Ormond, there were no favours granted to him. In 1642 Ormond sent an army to capture Donadea Castle which was stoutly defended by Sir Andrew's sister, Ellen Aylmer. The Castle, nevertheless, was captured and burned. Ellen, however, was not imprisoned and subsequently rebuilt the Castle. 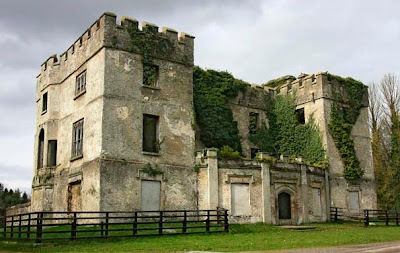 In 1689, after the battle of the Boyne, Lady Helen Aylmer (daughter of 3rd Earl of Fingall) was in charge of the Castle. Lady Helen was the widow of the 3rd Baronet and was outlawed due to her support for JAMES II. However, she managed to hold on to the Castle and lands under the terms of the Treaty of Limerick. In 1736, Sir Gerald, 5th Baronet, died leaving an only son FitzGerald who became the 6th Baronet. He was only one year old when his father died and was subsequently raised by his mother and her relatives who were members of the established church. FitzGerald subsequently conformed to the established religion. In 1773, he built a new house in front of the Castle and incorporated the Tower in his new residence. Sir Fenton Aylmer, 7th Baronet, was well-known as the man who founded the Kildare Hunt. He was also famous as a Yeoman leader during the Rebellion of 1798. In the period leading up to the rebellion there was an attempt to burn Donadea Castle. During the rebellion Fenton’s kinsman, William Aylmer of Painstown, was the leader of the local rebels. This led to a split among the Aylmer family. Sir Fenton’s son Gerald, 8th Baronet, held the lands of Donadea between 1816 and 1878 and he is accredited with most of the construction work that is visible in Donadea demesne today. He began his building program in the 1820s by re-routing the roads away from the Castle and the construction of a high wall enclosing the demesne. Gate lodges were then built at all the entrances. He also built a new grand entrance known as the Lime Avenue. In 1827 he completely remodelled the front of the Castle which gave it an attractive bow shaped appearance. It has been suggested that he employed the renowned architect Richard Morrison to design this new structure. The older cabin-type dwellings close to the castle were demolished and new estate houses built at the Range. To the west of the Castle he built an eight acre area of gardens and paddocks, surrounded and sub-divided by walls. In the Castle yard he built dwellings for staff and elaborative farm buildings. He also constructed the artificial lake and the Ice House. Large areas of the demesne were planted and, by the time of his death, Donadea demesne was listed as one of the finest parkland settings in the county. Outside the demesne he was involved in numerous construction projects including the famous ‘Aylmer Folly’, viz. the Tower on the summit of the hill of Allen. Sir Gerald's grandson Justin, 10th Baronet, died unmarried in 1885. His sister Caroline inherited the castle and much of the demesne, while the baronetcy passed to a cousin. Caroline Maria Aylmer, who was the daughter of Sir Gerald George Aylmer, 9th Baronet, was the last Aylmer to live at Donadea. She died in 1935, leaving the estate to the Church of Ireland who, in turn, passed it bequeathed to the Irish state. The castle remained unoccupied and its roof was removed in the late 1950s. Lieutenant-General Sir Fenton John Aylmer Bt, 13th Baronet, VC KCB, was a recipient of the Victoria Cross. In 1981, the Irish Minister for Lands designated the area of the demesne held by his department as Donadea Forest Park. Under their management, a new era of history then began which transformed the old demesne into Donadea Forest Park. Londonderry House was sold by the Londonderry family Trustees (of the 7th Marquess's Will Trust) in 1962 to a developer who built the "Londonderry Hotel" on the site, not the Hilton [Belmont thinks the Como Metropolitan Hotel now occupies the site]. The Hilton Hotel is on the other side of the street, and had already been opened. The Londonderry family received a sale consideration of £500,000 in 1962 money. This sounds little for such a prestigious location, when considering London residential property values in 2018, but it should be remembered that the Londonderry family had been trying, unsuccessfully, to sell the property for many years prior to 1962. The rates bill for the property was around £44,000 per annum in 1962 money and, following the departure of the Royal Aero Club, which had occupied most of the property since the Second World War, the full amount of this impost was about to fall at the door of the Londonderry family once again, on a financially crippling recurring basis. This was also at least a decade before the rise in the oil price created the type of Middle Eastern potentate private buyer, such as the Emir of Qatar, whose family eventually bought Dudley House further up Park Lane, retaining that aristocratic palace as a private residence. The tragedy of the sale of Londonderry House was not the comparatively meagre price (by current standards) it fetched for the Londonderry family, but the fact that it was completely demolished. The bland exterior concealed magnificently painted, and fresco-ceiling interiors by James "Athenian" Stuart who had, coincidentally, built the Temple of the Winds at the Londonderry's Ulster seat of Mount Stewart. The magnificent state rooms where 7th Marquess and Marchioness had, in the inter-war years, hosted their annual Eve of the Opening of Parliament reception for 2,000 guests, succumbed to the wrecker's ball. Fortunately, many of the fireplaces survived after being ripped out and sold separately by a salvage company. The two final social events hosted by the Londonderry family in the House were the wedding reception of Hon Elizabeth Keppel, following her marriage to her cousin Alastair Villiers in June, 1962, and a final "farewell" party given by Alastair, 9th Marquess, which his friends Mick Jagger and Paul McCartney attended. The following day all of the furniture was removed and either sold by the family Trustees (eg the Canova sculptures from the hall were sold to the V&A) or sent over to Mount Stewart, being the personal property of 9th Marquess's aunt, Lady Mairi Bury. George Stubbs's masterpiece, the life size painting of the racehorse Hambletonian after his famous win at Newmarket, was one of the items which belonged to Lady Mairi Bury and it was taken down from the library in Londonderry House and rehung on the staircase at Mount Stewart, where it is to be seen today. In February, 2012, I bought two used books at the Causeway Book Shop in the wonderful village of Bushmills, County Antrim. Sadly, that former Aladdin's Cave of historic reading material, glassware, pottery etc has since closed down. 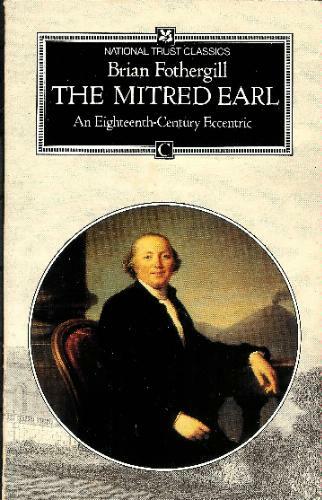 One of the books was The Mitred Earl by Brian Fothergill, a fascinating history of Frederick Augustus (Hervey), 4th Earl of Bristol and Lord Bishop of Derry, commonly known as The Earl-Bishop. The Earl-Bishop's main residence in Ulster was Downhill House, near Castlerock, County Londonderry. This paperback is published by Faber and Faber. It's certainly a National Trust Classic. Well worth every penny if you can bag it from Ebay, a charity or second-hand book shop. This is a County Down family, claiming descent from James Cleland of that ilk, Lanarkshire. THE REV JOHN CLELAND (1755-1834), sometime Prebendary of Armagh, Rector of Newtownards, 1789-1809, became tutor to the young Lord Castlereagh and subsequently acted as agent for the Londonderry estates. John Cleland was a student at the Rev William Neilson's Classical Academy in Rademon, County Down. A murder attempt occurred against him in 1796; he passed on information against the United Irishmen in 1797; agent for Marquess of Londonderry, 1824; bought land in Killeen & Ballymiscaw, 1830. Florence Rachel Therese Laura, b 1894. ARTHUR CHARLES STEWART CLELAND (1865-1924), of Stormont Castle, Lieutenant, 3rd Battalion, Prince of Wales Leinster Regiment, who married, in 1890, Mabel Sophia, only daughter of Lieutenant-Colonel H T D'Aguilar, Grenadier Guards. Mr Cleland died at Field Green, Hawkhurst, Kent. STORMONT CASTLE, Dundonald, County Down, is a Scottish-Baronial mansion of 1858, built by the Belfast architect Thomas Turner. This mansion replaced the original castle. The entrance front is three storeys high and eight bays wide, with a two-storey canted bay window. Remaining windows have square-topped sashes, with bartizan turrets at either end. There is a tall tower at the eastern end, with a large door surround and balustrade on top, turrets on tower corners, crow-stepped castellation, and three rounded arch windows at top. The Castle's lofty tower is reminiscent of The Prince Consort's Tower at Balmoral Castle. 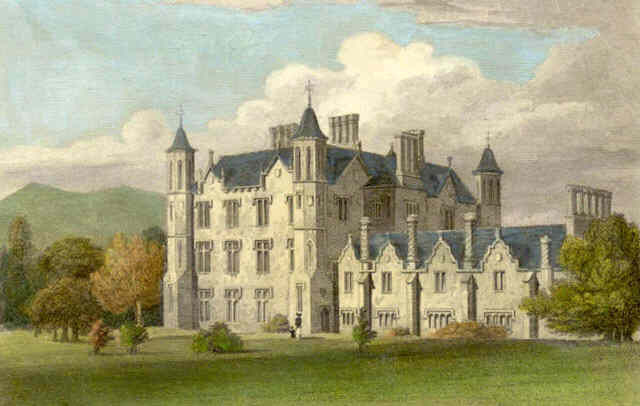 John Cleland's grandson began extending the Georgian house after 1842, though work did not begin on the new Castle (above) till 1858. It was at "Storm Mount" that, ca 1830, Cleland created what was described as "a plain house": A mid or late Georgian house of a traditional type, it was in the form of a plain rectangle with a central projection to the south, presumably for the entrance. Associated plantings were very modest; there was a small fringed meadow at the front and an orchard on the hillside to the north west. A directory entry of 1837 referred (probably inaccurately) to the house as 'Storemont'; and, by 1864, the "Parliament Gazetteer" still did not rank it amongst the principal residences of the area. In those days the most substantial such residence was Rose Park, a name still in use in the residential area (and indeed in Rosepark House, a Government building occupied by the Exchequer and Audit Department and by part of the Department of Finance and Personnel). It was in the course of removing Rose Park, in the process of consolidating Cleland's holdings, that his son Samuel Jackson Cleland was killed by the collapse of a wall in 1842. 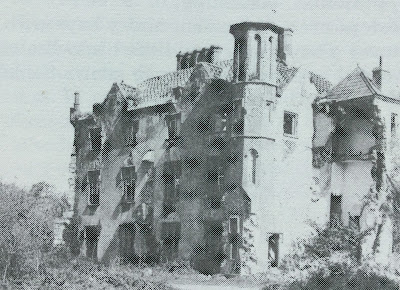 In 1858, the Cleland family commissioned the local architect Thomas Turner to convert the existing plain dwelling into a flamboyant baronial castle. To what extent the original house survives is not clear. Conventional wisdom, supported by some map evidence, is that the symmetrical five-bay block facing south is the "baronialised" shell of the Georgian dwelling. To this, Turner added the entrance tower to the east. 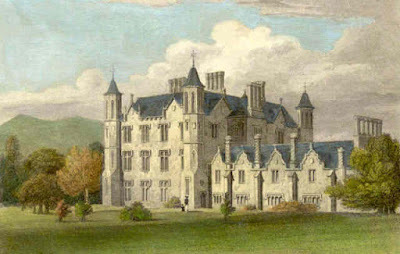 The whole image and particularly the outline of the building was given a baronial character with turrets, battlements, bartizans with conical caps, iron cresting and weather vanes. 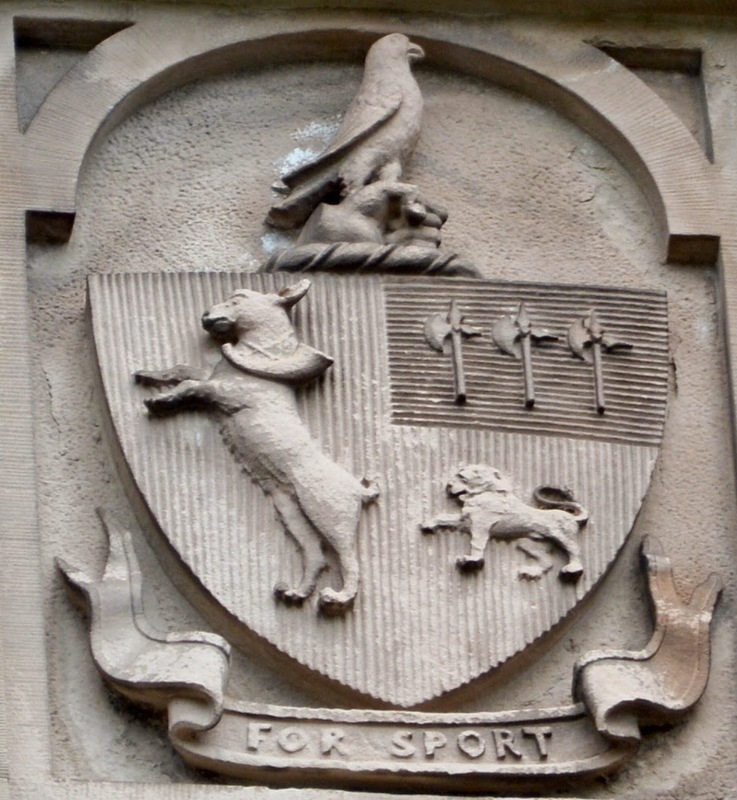 The Cleland monogram was used on the shields held by the snarling stone gryphons which still guard the main entrance to the Castle. The 1850s also saw extensive development of the demesne which was extended to the main Upper Newtownards Road, with the old lodge for Rose Park becoming the lodge for the remodelled baronial Stormont. The Clelands finally left in 1893, preferring to live elsewhere, and the demesne was let out. At some stage Stormont Castle was rented by Charles E Allen JP, a director of the shipbuilding firm of Workman and Clark Limited. On his departure from Belfast, the Castle became vacant and, in April, 1921, both it and the surrounding land were offered at auction, but withdrawn when no bid higher than £15,000 was obtained. Later in 1921, however, it was acquired, with 235 acres of land, as a site for the Parliament Buildings of the new Northern Ireland state. Stormont Castle demesne shall be the place where the new Parliament House and Ministerial Buildings shall be erected, and as the place to be determined as the seat of the Government of Northern Ireland as and when suitable provision has been made therefore. While there was initial uncertainty about the use to be made of Stormont Castle itself, it was later decided that it should become the official residence of the Prime Minister of Northern Ireland. Sir James Craig (later 1st Viscount Craigavon) lived there until 1940, when he moved out to make more room for officials engaged in War work. Lord Craigavon was succeeded in office by Mr J Andrews and thereafter by Sir Basil Brooke Bt (later 1st Viscount Brookeborough). While both had offices in the Castle, no Prime Minister resided there with any regularity between 1940 to 1969. On the arrival in office of Captain Terence O'Neill in 1963, substantial reinstatement and improvement works were carried out. These included the removal of an ugly glass entrance canopy and the restoration of the old ballroom as an improved Cabinet Room. In those days the Prime Minister occupied what became the Secretary of State's office, with the Secretary of the Cabinet using the other major front room on the ground floor. 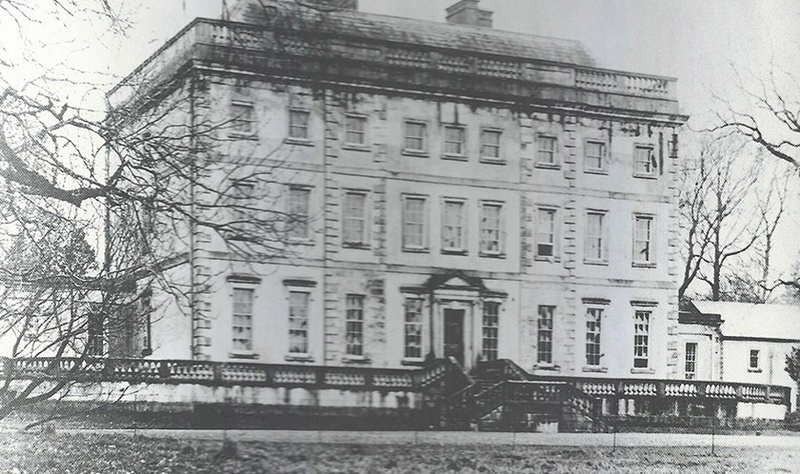 Captain O'Neill (afterwards Baron O'Neill of the Maine), Prime Minister of Northern Ireland, resided, when in Belfast, at nearby Stormont House, originally built as a residence for the Speakers of the NI House of Commons. 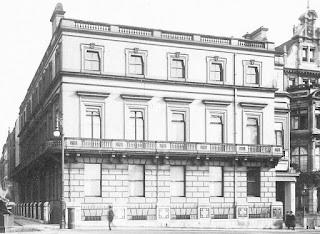 His successor, Major James Chichester-Clark (later Baron Moyola), had premises on the first floor converted into a self-contained flat and regularly stayed there. 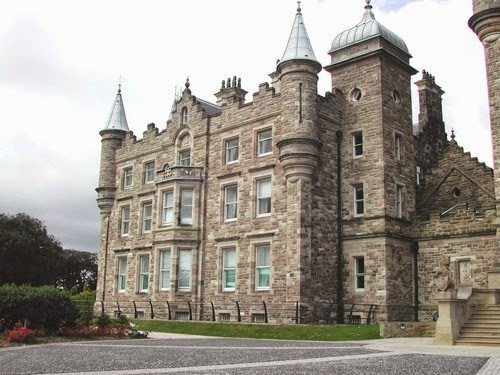 Since 1974, when Northern Ireland reverted to direct rule from Westminster, the Castle became the administrative headquarters for successive Secretaries of State. Today, Stormont Castle serves as the Office of the First and Deputy First Ministers. Although Stormont Castle is a house of the 1850s, the grounds date from the time of a former house of 1830. There are a few mature trees from that era. There is a fine restored glasshouse with 'bothies' on the back (ca 1857). Formal bedding in the vicinity of the glasshouse and immediately to the west of the Castle was recorded, in its original form, in R Welch’s photographs of 1894 but have now gone. 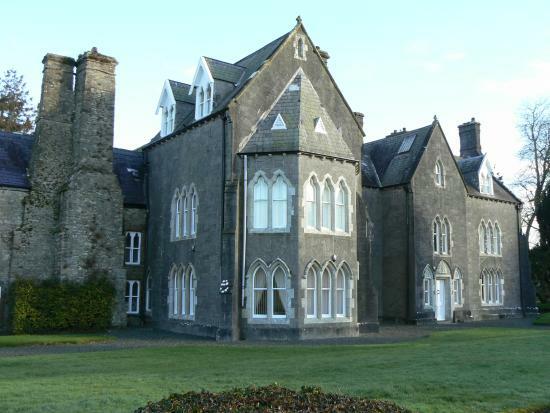 The demesne was purchased over the period 1921-78 for the Parliament Buildings and now amounts to about 400 acres. 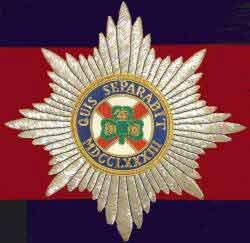 The cap badge of the Irish Guards and the bearskin plume are both based on the star and sky-blue sash colour of the Most Illustrious Order of St Patrick. 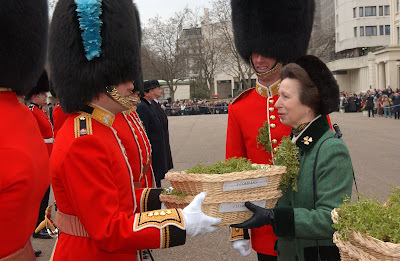 The Princess Royal is pictured presenting the Regiment with shamrock. 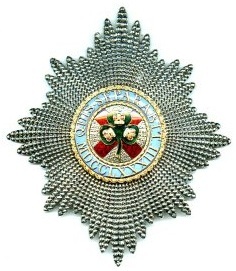 The badge consists of a star, within which is a shamrock with three crowns on its leaves (the historic kingdoms of England, Ireland and Scotland), the shamrock being placed on a cross of St Patrick. The centre is surrounded by a circle which bears the legend QUIS SEPARABIT ~ who shall separate ~ and the Roman numerals MDCCLXXXIII ~1783 ~ the year that the Order of St Patrick was established. MAJOR JOHN GODFREY, of Colonel Edmund Ludlow's Regiment of Horse (a member of the ancient family of GODFREY, of Romney, Kent), obtained for his services in Ireland during the rebellion of 1641, a grant of 4,980 acres of land in County Kerry, and settled there. WILLIAM GODFREY (1739-1817), of Bushfield, who was created a baronet in 1785, denominated of Bushfield, County Kerry. Letitia; Agnes; Phillippa; Arabella; Margaret; Elizabeth. SIR JOHN FERMOR GODFREY, 4th Baronet (1828-1900). Sir William Maurice Godfrey, 7th Baronet (1909–1971). 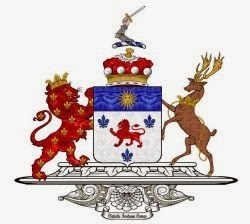 The baronetcy expired following the decease of the 7th Baronet, without male issue. KILCOLMAN ABBEY, formerly Bushfield, Milltown, County Kerry, was granted in 1641 by CHARLES II to Major John Godfrey "for his services against the rebels". Sir William Petty, in his Reflections on Matters and Things in Ireland, called this donation "by no means an equivalent for the Major's services". It was built ca 1800 by Sir William Godfrey, 1st Baronet, comprising a fairly plain, Georgian, three-storey block. 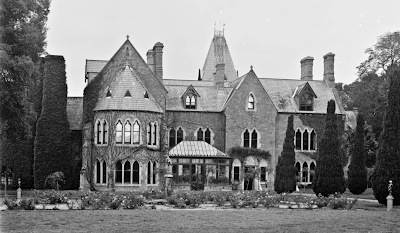 The house was altered in 1819 by Sir John, 2nd Baronet to designs of W V Morrison, who gave it a Tudor-Revival makeover, with four slender turrets on each corner, topped by cupolas (not dissimilar to Glenarm Castle and Borris). A two-storey service wing was added later. Morrison created a two-storey galleried hall, which opened with arches on to the hall. The Godfrey family continued to live at Kilcolman until about 1960, when it was abandoned. It was demolished in 1977. The Order of St Patrick remains technically extant. It features in the orders of chivalry section of the Royal Family website. The Knights listed below had connections in one form or another with Ulster. The first three appointees were founder members of the Order. The Most Noble James, 3rd Duke of Abercorn, KG KP PC, was the final non-royal conferral before the Order went into abeyance. First published on the 17th March, 2011. 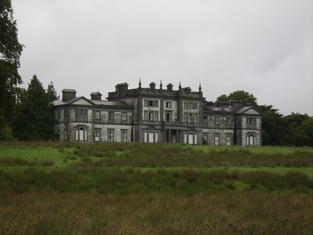 THE BARONS ASHTOWN WERE MAJOR LANDOWNERS IN COUNTY LIMERICK, WITH 11,273 ACRES. The family of TRENCH is descended from a French protestant family, said to have emigrated from the town of La Tranche, in the province of Poitou, to avoid the religious persecutions instituted by LOUIS XIV against those who dissented from the established church. John, of whom we treat. Catharine; Mary; Elizabeth; Frances; Anne; Sophia; Mary; Catherine. FREDERIC TRENCH (1755-1840), of Moate, MP for Maryborough, 1785-90, MP for Portarlington, 1798-1800, who espoused, in 1785, Elizabeth, only daughter and heiress of Dr Robert Robinson, and niece of the Hon Mr Justice Robinson, one of the judges of the Court of King's Bench, but had no issue. Mr Trench was elevated to the peerage, in 1800, by the title of BARON ASHTOWN, of Moate, County Galway. The present 8th and present Baron lives in East Sussex. THE TRENCHES of Woodlawn were one of a number of Trench families who came to prominence in County Galway in the 17th century. They were all descended from Frederick Trench who came to Ireland early in the 1600s. Strategic marriages into the Warburton and Power families led to the acquisition of more lands in East Galway. Much of the Woodlawn estate was originally Martin and Barnewall lands which were purchased by the Trenches in the early 18th century. Lord Ashtown was recorded as a non-resident proprietor in 1824. In County Roscommon he held over a 1,000 acres; and in County Tipperary he held at least 21 townlands in the parishes of Ballingarry and Uskane, barony of Lower Ormond, inherited from the Sadleir family of Sopwell Hall. In the 1870s, Lord Ashtown's main estate in County Galway amounted to over 8,000 acres and he also held land in seven other counties including County Waterford where he had purchased lands from the Earl of Stradbroke in the 1870s. These townlands remained in Trench ownership until purchased by the Irish Land Commission in the 1930s. In 1852 Lord Ashtown married as his second wife Elizabeth Oliver Gascoigne, an heiress with large estates in County Limerick and Yorkshire. In the 1870s Lord Ashtown is recorded as the owner of 11,273 acres in County Limerick and 4,526 acres in County Tipperary. WOODLAWN HOUSE, near Kilconnell, County Galway, is a Palladian-style country house comprising a three-bay, three-storey central block built ca 1760, having slightly advanced end bays and projecting tetra-style Ionic portico to entrance bay. There is an interesting video clip of the mansion house and ruinous outbuildings here. The House consists of 30,000 square feet standing on 115 acres of land. It boasts 26 bedrooms, a walled garden, courtyard, gatehouse, gardener's house and a lake. Woodlawn was remodelled ca 1860 and flanked by four-bay two-storey wings having projecting pedimented end bay to each wing. The central block has tripartite openings to end bays, ground floor of each end bay having segmental pediment and engaged Doric columns to slightly advanced middle light, and flanked by Doric pilasters. The wings have tripartite windows to pedimented bays, ground floor having Venetian-style windows, middle light slightly advanced and having engaged square-plan Doric columns, flanked by Doric pilasters and having with moulded capitals and cornices. The mansion is set in its own demesne, with outbuildings to west, and entrance gates and lodge to east. This large house is an elaborate exercise in classical orders, the use of carved and cut limestone extending throughout the front elevation and evidence of both the skill of 19th century stonemasons and the wealth of the Trench family whose seat it was. An unusual composition, the quoins to the central block give a vertical emphasis that is extended by the pinnacles. Although the motifs are classical, the extensive use of dark limestone, the variety of textures and treatments, and the use of pinnacles give it a somewhat Gothic appearance typical of the late 19th century. Extended and remodelled by the 2nd Baron Ashtown in the 1860s to designs drawn up by James F Kempster, the county surveyor for the East Riding of County Galway, it shows little evidence of the Georgian house behind the façade. 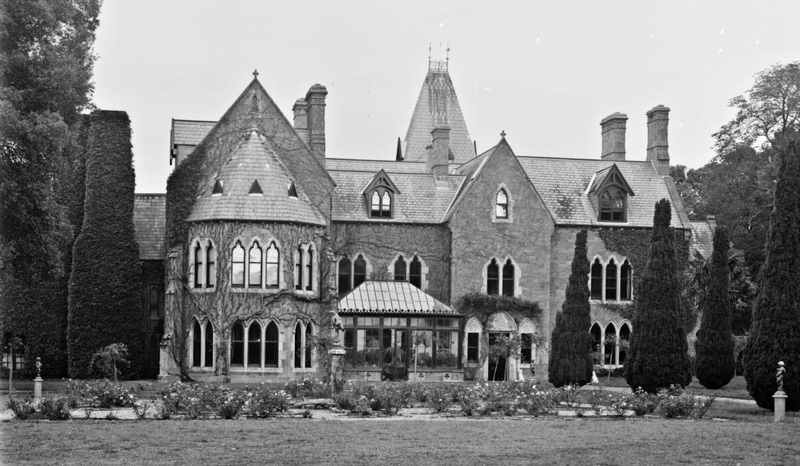 During the 1920s, the 3rd Baron was declared bankrupt and, as a result, the house was closed up and its contents sold at auction; at one point, the IRA occupied one of the wings. The 4th Baron eventually returned to Woodlawn, but in 1947 he sold the estate to his cousin, Derek Le Poer Trench who, in turn, disposed of it in 1973. Since then, Woodlawn has had two further owners but neither of these have lived in the house. Michael Lally, a local publican, bought the property ca 1989. Before that date, in 1982, a fire burnt out the east wing and caused extensive damage to the central block, partly because of the water used to put out the flames. 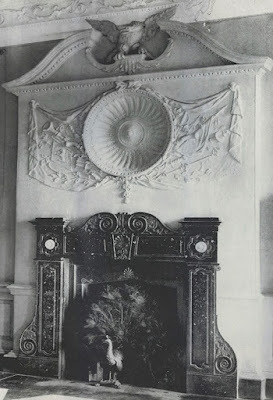 Much of the original decoration of the house has also been lost, not least the fireplaces in the principal reception rooms. While all the walls still stand and the pitched slate roof remains, Woodlawn today is a mere shadow of the house it had been 100 years ago. Other former seat ~ Chessel House, Southampton, Hampshire. Ashtown arms courtesy of European Heraldry. First published in December, 2011.